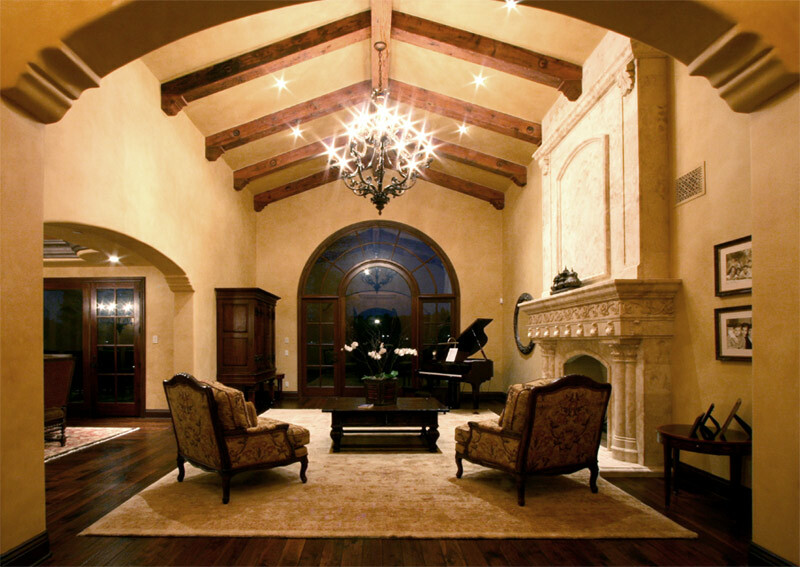 Tuscan style home in Wildflower Estates, near Rancho Santa Fe CA. 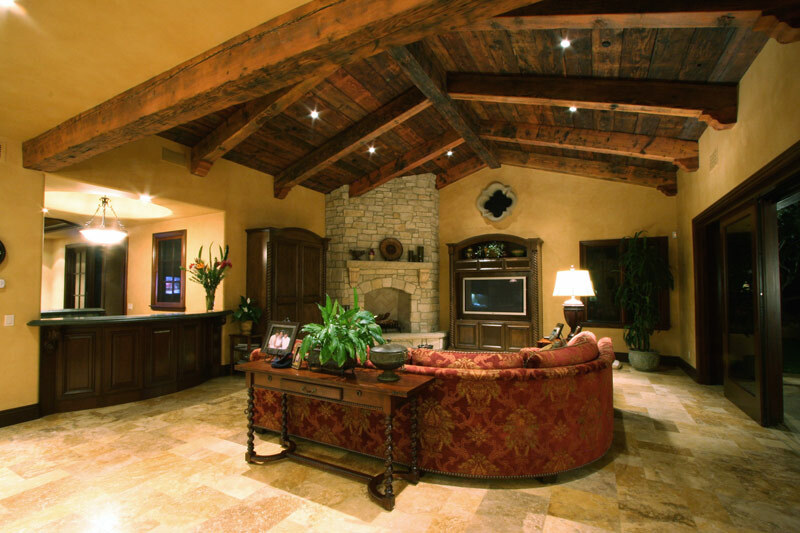 As with most of our homes, the common area walls were given a faux finish. 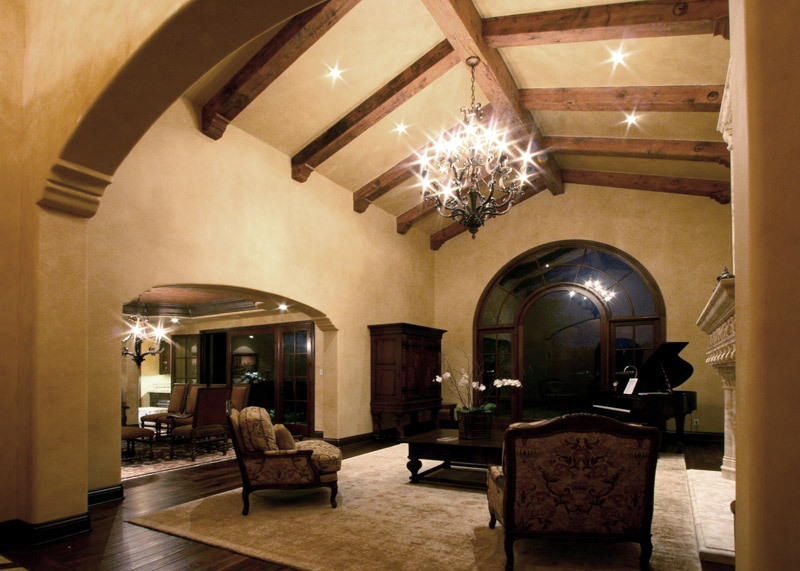 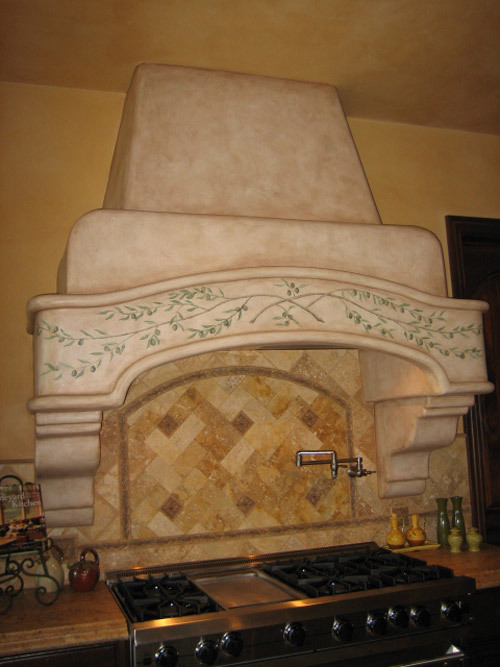 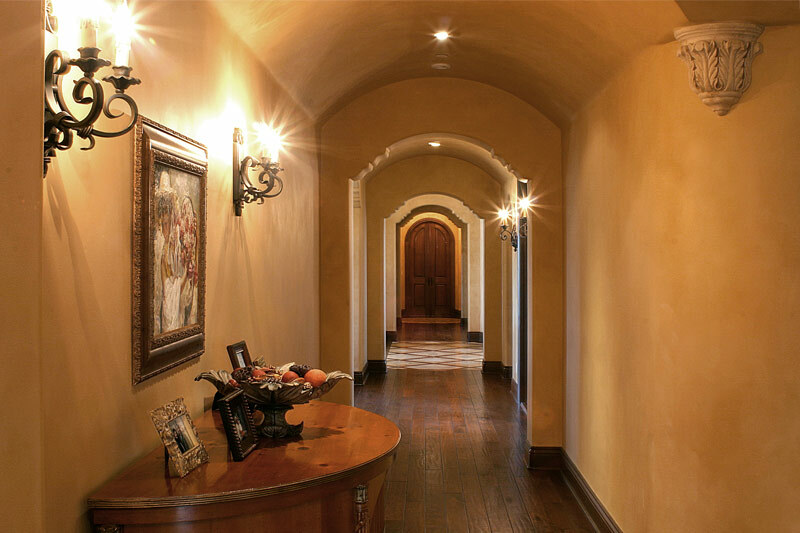 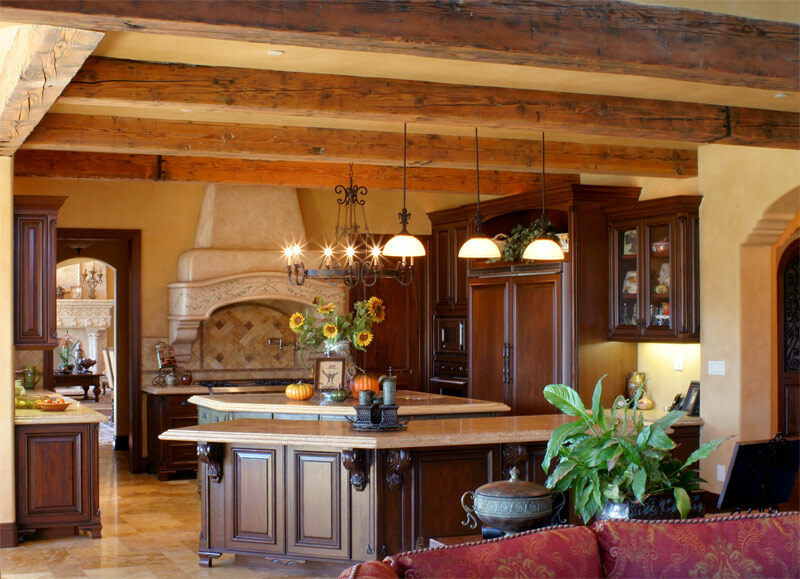 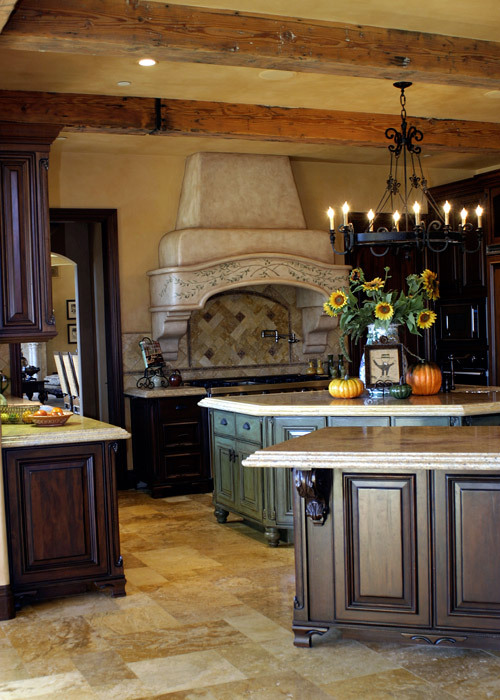 Pictured is a Tuscan wall glaze in rich, warm colors. 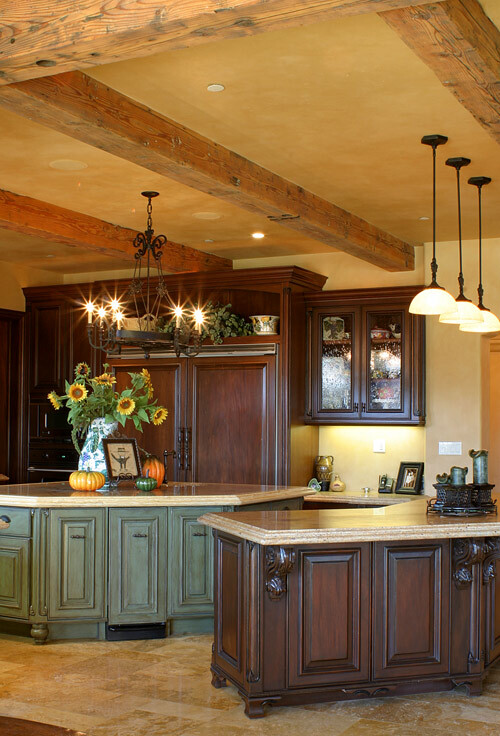 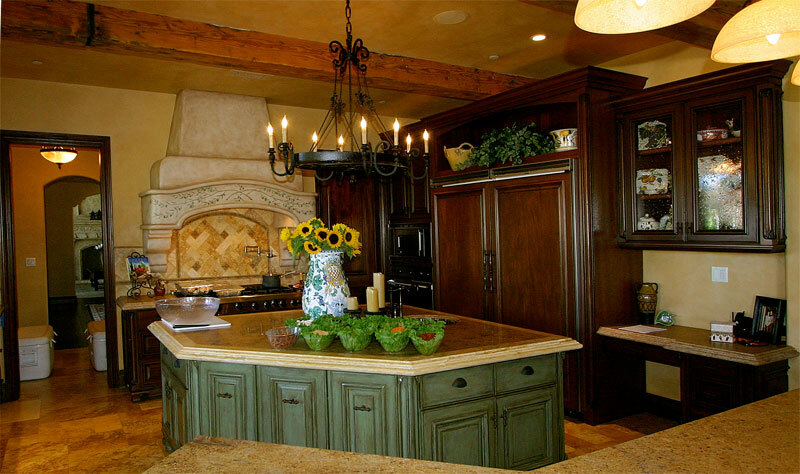 We emphasized the kitchen area with a hand painted, olive leaf motif on the hood and a two toned, antiqued cabinetry finish on the kitchen island. 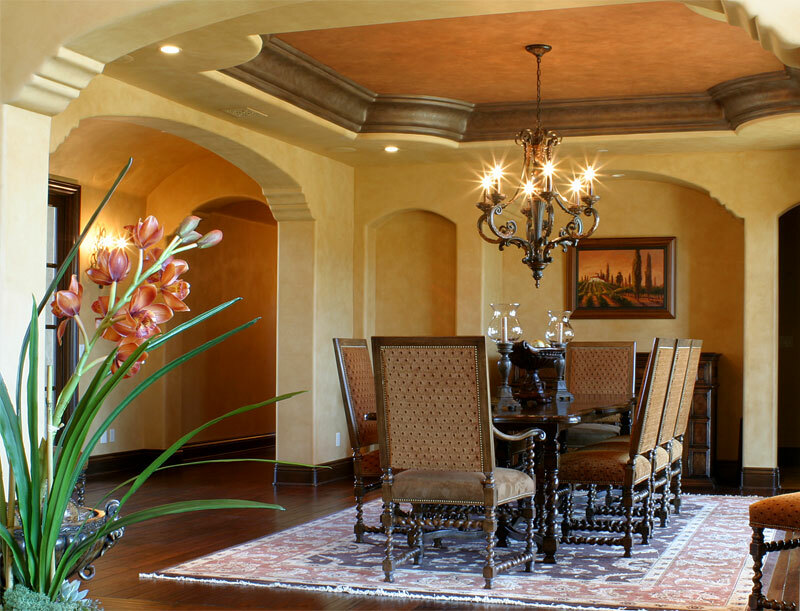 In the dining room, we highlighted the ceiling with a rich red, orange glaze and faux bronze crown with antiquing and a hand painted gold metallic scroll motif.